We want to take this opportunity to stress that, we are here we are today NOT because we use "MILO" in our brand, but it is a result of our 4 years of blood, sweat and tears - from serious research, crunching data, presenting insights, publishing industry news, to even writing a book. Update: eCommerceMILO is now known as ecInsider! This ain't April Fool, as we are officially closing down eCommerceMILO by end of this month. You might be curious, why are we making this decision? The fact is, we have been warned by that beverage brand to stop using its trademark. Such warnings were issued occasionally since 2013 until a more "serious warning" recently threatening to take legal action against us. 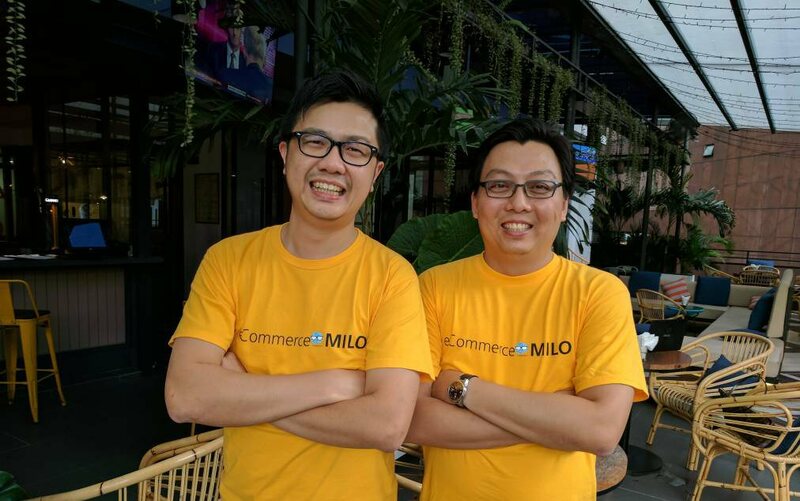 "MILO" stands for Made In LOcal, as we produce local e-commerce insights for public consumption. We are just an online content site, not a beverage brand, different category altogether. We have never been hostile or malicious (especially to that brand) in any part of our content. Heck, even Milo.com was an e-commerce site being acquired by eBay back in 2010. We are supposed to celebrate our 4th anniversary this month, unfortunately, this time it coincides with the RIP of eCommerceMILO. We want to take this opportunity to stress that, we are here we are today NOT because of having "MILO" in our brand, but it is a result of our 4 years of blood, sweat and tears - from serious research, crunching data, presenting insights, sharing opinions, publishing industry news, to even writing a book. It is a pity for a giant of that size to just come in trying to wipe off everything we have done, perhaps another example of david vs goliath case in business. Nevertheless, we would like to thank all of our readers out there, for supporting us, for reading, liking, sharing our content. It has been a great pleasure for us to being able to connect to some of you personally via eCommerceMILO, be it on business or personal friends. 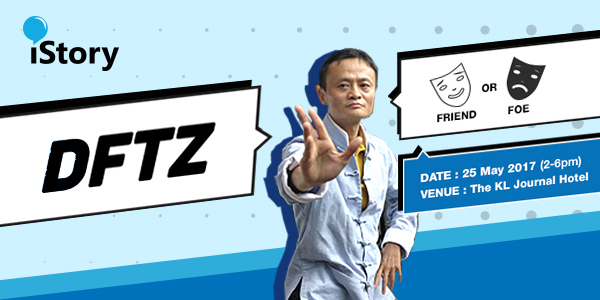 We were actually preparing for iStory event series - Jack Ma & DFTZ: Friend or Foe? before we have made the decision to shut down eCommerceMILO. 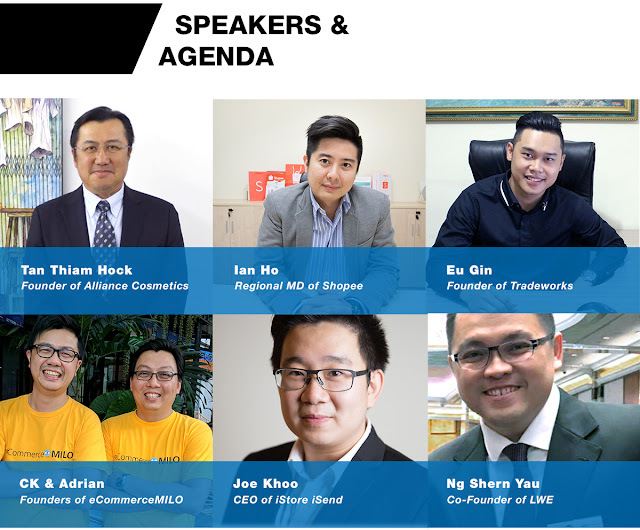 However, it was not easy to gather all these local entrepreneurs, distinguished speakers (see list below) so it will be a waste to call off the event, not to mention the trust placed by our sponsors - eGHL and DHL Express. 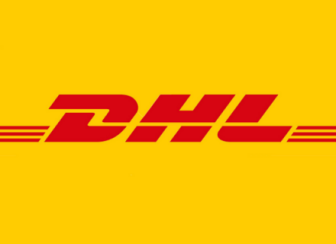 No doubt, there are a lot of uncertainties to local merchants & retailers with the announcement of DFTZ and the entrance of Jack Ma & Alibaba to Malaysia, despite the e-commerce growth in recent years. Our intention is to bring together the experts from diversified backgrounds to share and discuss what will be disrupted, where will be the new opportunities and how you can better prepare yourself moving forward. 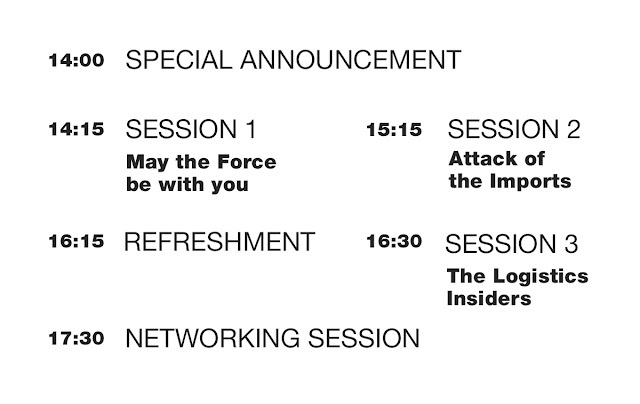 You can refer to the agenda below, on topics that you shouldn't miss especially if you are a merchant or retailer. 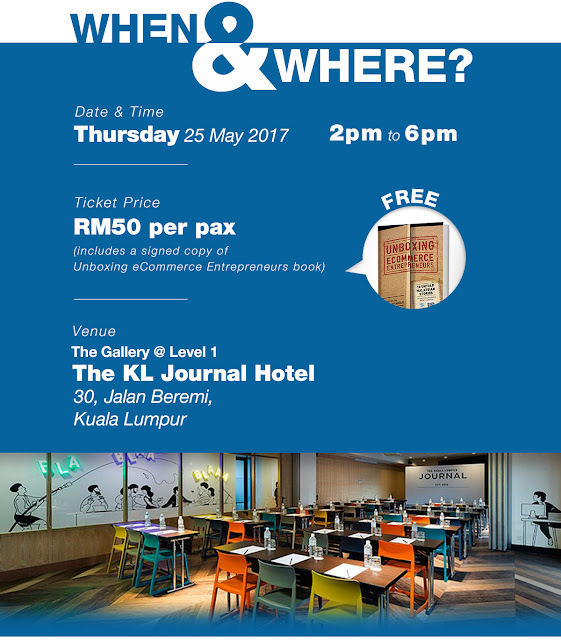 This panelists-format talk event will be held on 25 May (Thursday), 2 to 6pm at The KL Journal Hotel (somewhere within Bukit Bintang, Kuala Lumpur). A shout-out to our supportive venue partner here too! With paid admission of RM50, you get our signed print book too. Oh, should we mention this is also the last book by eCommerceMILO? We have limited seats available, so RSVP today! Come say hi to us, and goodbye to eCommerceMILO.